The Digital Marketing Training provided in Peer Muchalla is experiential meaning the students get to put into practice what they have learned and experience it for themselves the benefits of various forms of marketing. At a later stage in the Digital Marketing Program, the students are also asked to complete a number of real business case projects where businesses are facing a major challenge. 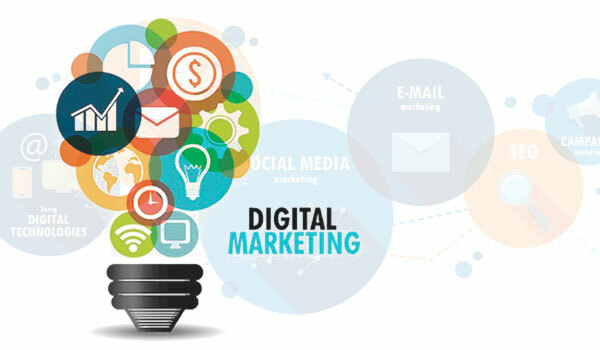 Since Digital Marketing is a vast area the faculty of Easy Web for digital marketing consists of a team who are subject matter experts in various areas with experience of having worked in the industry. The imparting of Industrial training in Digital Marketing at Peer Mushala is done by mentors who have no more than a few trainees/students under them. Since most of the mentors are working on live projects (as full-time jobs) the trainees get to work on live projects tackling live problems. Some of the students (who perform well) are also given a chance to interact with the real clients. During the Industrial training in Digital Marketing, the students/trainees get an option to work on paid products access to whom would be tough for trainees/students as the tools charge a hefty yearly or monthly subscription fee. The experience of having used these tools is itself a big factor due to which most of the students who undergo the Industrial Training in Digital Marketing at Easy Web easily find placements in the companies of their choice. Our past students usually love the opportunity to handle one or more social media platforms marketing for real client. After, or while, undergoing Industrial training in Digital Marketing most of the students usually get placed at either digital marketing companies or big businesses who need help in digital marketing on an ongoing basis.